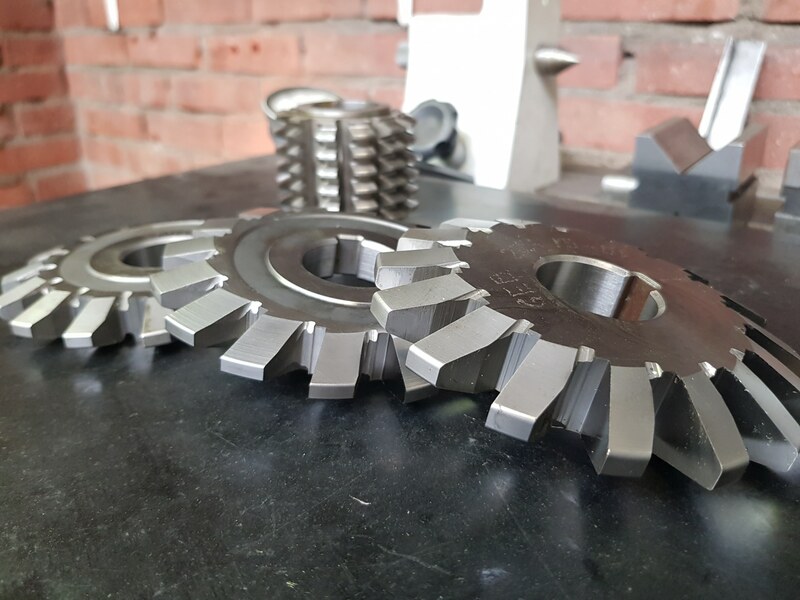 After the products have been sawn to size and turned, the teeth can be milled in the worm wheel and shaft. Max has been working at Gebuwin since 1997 and has worked in almost all departments. However, Max has been working with the milling machines over18 years and can therefore certainly be called a milling specialist. As with turning (read previous part here), milling is also a machining technique, but unlike turning, the product remains stationary and the tool rotates. 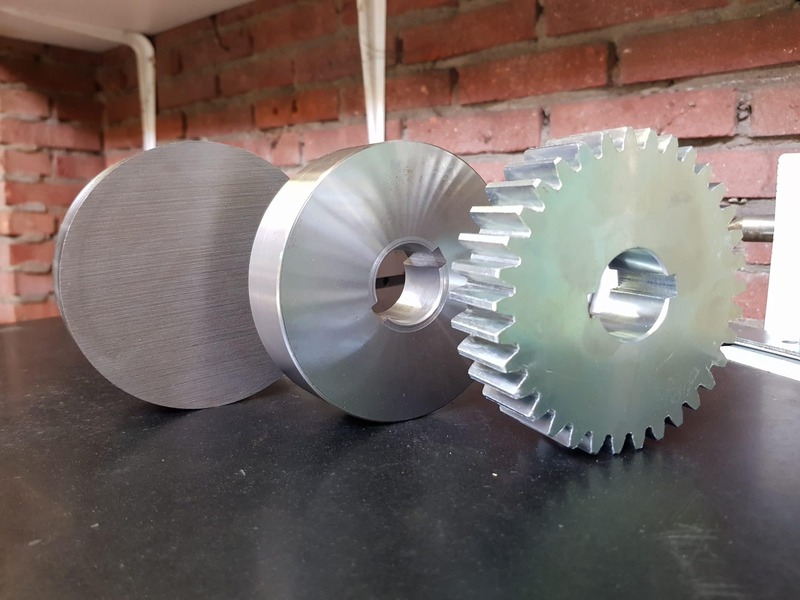 Since September 2018 the main worm wheel milling machine has been replaced (read here more about the new machine). From now on the operations can also be operatd with the CNC lathe. Two main parts are milled at Gebuwin, these are the worm- and spur gear wheels and the worm shaft. Max uses a different module for almost every worm gear or spur gear wheel (see photo below). The module that is used depends on the calculation of the depth, width and number of teeth required to realize the desired strength, and thus the lifting capacity. The number of degrees that Max mills the module in relation to the wheel are the tricks of the trade. This ensures that there is just enough friction when operating the hand winch. 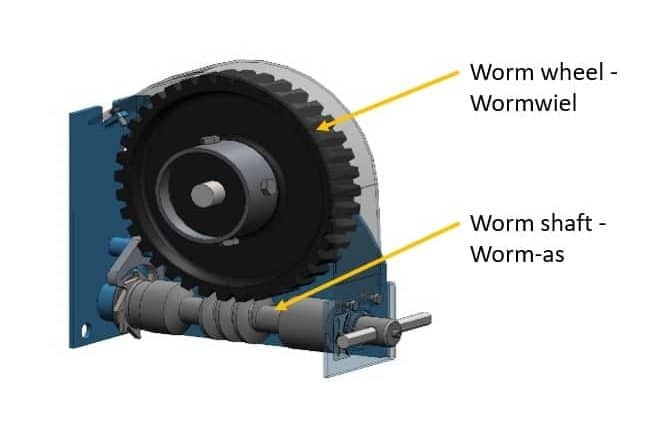 The friction at the worm gear wheel transmission provides 50% of the braking effect, therefore our worm gear winch is also called a safety winch. The remaining 50% of the braking performance is absorbed by the load pressure brake. This is completely different from the spur gear winches because with these winches, as little friction as possible must occur. The braking effect is 100% based on the load pressure brake. Read more about the braking effect of the different winches in this article (coming soon). After milling and turning the products are ready to be welded. Read here more about the welding process at Gebuwin.